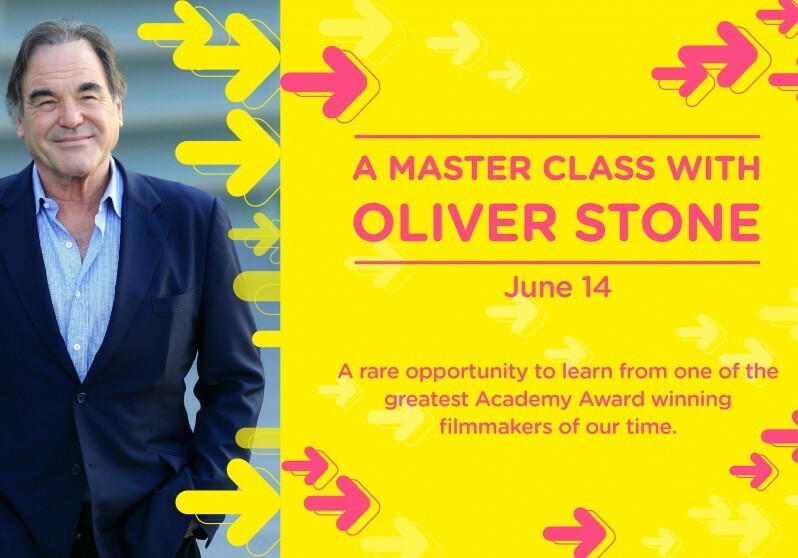 The Vancouver Biennale kicks off its new CineFest LIVE program with a Master Class featuring Academy Award winning director Oliver Stone on Saturday, June 14th. Later in the day, Oliver Stone will present an episode from his newest documentary series “The Untold History of the United States”. In a world of NSA surveillance and Edward Snowden, Oliver Stone continues to be one of the most relevant filmmaker of our generation. We are inviting the Vancouver film community to take this unprecedented opportunity to learn from one of the greatest filmmakers of our time. Local filmmakers Marc Stephenson, Taylor Hill, Gary Hawes, Matthew Kowalchuk and Daniel Arnold, the directors, actors and film producers behind last year’s Canadian comedy hits That Burning Feeling, The F Word, Leap 4 Your Life, and Lawrence & Holloman discuss the challenges and survival tips for making Canadian indie-films. Moderated by Alexandra Staseson @MoveThrough (Actor/ Host / Producer). Screening of Last Year in Vietnam, Oliver Stone’s first short film made as a student at NYU, followed by a Master Class discussion on the theme Your First Film. The CineFest LIVE program supports the Biennale mission to celebrate the Contemporary “arts” in public space, and will integrate film into the larger Biennale exhibitions via outdoor urban projections, Master Class workshops, film retrospectives and emerging filmmaker competitions. Later this summer, the Biennale will feature films by and about Ai Weiwei, Vik Muniz and Brazilian street artists Os Gemeos alongside their public art installations, giving the artists the opportunity to showcase the multi-dimensional aspects of their artistic practice and giving the audience a layered understanding and appreciation of the artists, their motivations, and their work processes in live discussions. The Biennale will also launch a national documentary film competition, giving young Canadian filmmakers ages 19-30 an unprecedented opportunity for professional development and international exposure through the Biennale network of international film festival alliance partners.